Auditing is a very significant process that many firms embrace to ensure that they comply with desired standards. The process therefore aims at enabling organizations to make positive changes for enhanced growth. As a service provider, identifying the various categories of auditing services, and customizing required templates for quotations may be a challenging task. The most important audit templates that your firm needs to consider are quotation format for internal audit, quotation format for external audit., and quotation format for the service you provide. Where accounting or financial evaluations and reporting is required, external auditors are engaged. A firm should develop a clear external audit template for its quotations. Firms always undertake internal evaluations to assess their internal performances or to identify potential risks. For such an undertaking, a customized template needs to be designed for use when quoting for such services. A firm that provides auditing services needs to have a comprehensive quotation format that details it services and costs to its target clients. The more clearer and detailed your template is, the more your quote will have a positive impact. 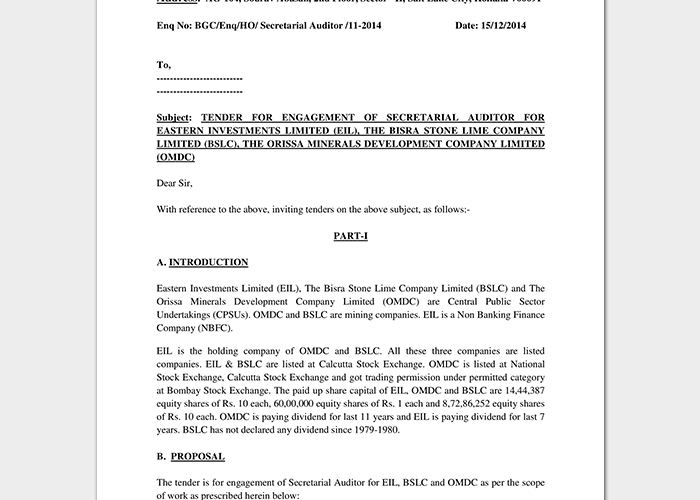 Why Your Firm Needs Audit Quotation Template? 1). Without a customized quotation format, inconsistencies are bound to arise. This makes it hard for you to critically evaluate and compare costs involved. Comparing and evaluating costs from different auditing services is only important for those receiving your audit services. 2). Critical elements may be omitted during evaluation if there is no standard reference or checklists to offer guidance. Working with a well-defined template is your ultimate solution. 3). With a comprehensive and professionally designed audit templates, a firm can compare past services for easier and quicker budgeting. 4). Lack of clear quotation formats is bound to delay service delivery or result into omissions. These can lead to misunderstanding or conflicts between you firm and your client. This should not arise. For smooth and efficient auditing services, having relevant quotation formats should therefore be a priority. Having a well-structured and relevant format for your audit quotations is of paramount importance. It will not only enhance transparency, accountability, and efficiency in service delivery, but also an important resource for future credible references. This will also enhance your image as being clear, and consistent in your quotes.